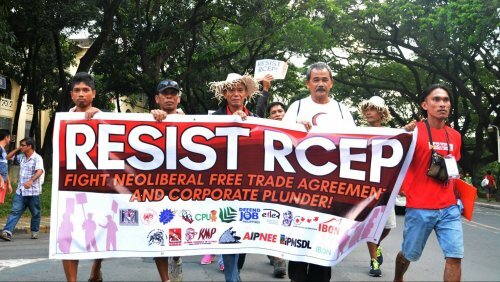 Can Labour bring labour rights to RCEP? New Trade and Export Growth Minister David Parker has keenly espoused the Government’s “new approach to trade”, which includes a preference for “gold standard agreements” that include environmental and labour protections. Critics of the Trans-Pacific Partnership Agreement (now rebranded as the Comprehensive and Progressive Agreement on Trans-Pacific Partnership, or CPTPP) have accused the Labour-led Government of failing to satisfy its “five non-negotiable bottom lines”, particularly for being unable to extricate Investor State Dispute Settlement (ISDS) provisions from the Investment chapter. On that point, Parker admits that while the scope of those provisions has been narrowed, the Government could only give themselves “half-marks”, noting that the international consensus on ISDS remains in a state of flux. Today, Parker’s associate Damien O’Connor is in Singapore for a ministerial meeting on the Regional Comprehensive Economic Partnership (RCEP), which would make up the largest trading bloc in the world. Will he push to make the RCEP a gold standard agreement as well? RCEP has been described as China’s counter-agreement to the CPTPP, involving 16 Asia-Pacific nations – China, India, Japan, South Korea, the ASEAN bloc, Australia and New Zealand. Like the CPTPP, it contains ISDS provisions. Unlike the CPTPP, it doesn’t have a chapter on state-owned enterprises, an omission intended to accommodate one of the most significant sources of Chinese comparative advantage – its large state-owned construction companies. It also differs from the CPTPP in that it has no chapters on labour or the environment, and therefore presents a challenge to Labour’s new approach on trade. The countries involved magnify this challenge. China’s record on worker and trade union rights is well known, although less is known of the struggles that workers in Malaysia, Vietnam and Thailand in the global supply chains of many well-known consumer brands . The tacit promise of globalisation - that a rising tide would lift all boats - hasn’t been felt yet in many RCEP nations. The shift in global production towards the Global South - particularly Asia - has often been accompanied with increasing hostility from governments towards union organising, keeping down costs for multinationals and slowing social progress. It’s not all bad. Despite the troubling history of dictatorship in countries like Myanmar, Indonesia and South Korea, the labour movements in those countries and others are hungry for their rights, winning significant victories that are lifting wages and making work more secure. Take Cambodia for example, one of the poorest countries in the region where, despite strong trade and investment inflows and outflows, labour rights are now going backwards. Cambodia receives the lowest possible rating on ITUC’s Global Rights Index , indicating there is "no guarantee of rights" - in other words, one of "the worst countries in the world to work in". Cambodia’s minimum wage currently covers only the garment and footwear sectors, and there is no health and safety law, only a few ministerial directives (“prakas”). Its 2016 Trade Union Law has been panned by rights groups like Amnesty International for restricting who can form unions. Trade unionists have reported increasing difficulties in registering new unions, and international organisations have described recent charges against activists like Moeun Tola as “politically motivated legal harassment”. Labour crackdowns are part of an assault on Cambodian democracy that in the past year has also included the dissolution of the largest opposition party, imprisoning its leader Kem Sokha on treason charges, banning its representatives from politics for five years, and passing a new lese majeste law that attacks freedom of speech by forbidding Cambodian citizens from insulting the Cambodian monarchy. When United States Senator Ted Cruz wrote to Cambodia’s Ambassador to the US condemning the charges against Sokha, the ambassador retorted that Cambodia had never got involved when the US arrested Paul Manafort as part of its probe into its last presidential election. Meanwhile, a spokesperson for the Chinese foreign ministry said China “supports the Cambodian government’s efforts to protect national security and stability". In the face of this broad geopolitical tension, it would be easy to say there is nothing that can be achieved. However, this would belittle the important leadership role that New Zealand plays within the Asia-Pacific region, and the opportunities presented by a state of flux in the international consensus on trade and investment agreements. The 2008 NZ-China FTA was accompanied with binding memoranda of understanding on labour and the environment. While this may have appeared groundbreaking at the time, it has come to little. Expectations from civil society are growing, and trade negotiators will increasingly have to accommodate those concerns. Will Labour push for the hasty conclusion of RCEP without ensuring fundamental labour rights are part of the deal? Would it be right for New Zealanders to accept the trade benefits from liberalised supply chains that pass through countries like Cambodia, Myanmar, Vietnam, Laos or South Korea, where workers’ rights cannot be guaranteed? When first becoming Trade Minister, Parker said that his priority was to conclude a FTA with the European Union, with one of the motivating factors being their similar views on labour and environmental standards. Will we have to wait until that negotiation before Labour pursues a gold standard agreement? Edward Miller is a Kuala Lumpur-based trade union advisor from New Zealand. He has worked in New Zealand on labour, human rights and trade and investment issues, and has a LLM from the University of Auckland.